The new 2014 Dodge Charger Pursuit's intelligent AWD system features a segment-exclusive active transfer case and front-axle-disconnect system that better balances performance and fuel economy. Dodge Charger Pursuit's AWD system seamlessly transitions between rear-wheel drive (RWD) and AWD with no driver intervention. When AWD is not required, the system automatically disconnects the front axle to maximize fuel economy while still providing the outstanding fun-to-drive performance and handling inherent in rear-wheel-drive vehicles. 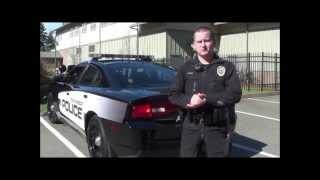 Designed and engineered to be America's high-performance police vehicle, the 2014 Dodge Charger Pursuit V-6 and V-8 provide law-enforcement with the best combination of tactical technology, safety, power, efficiency and iconic design. 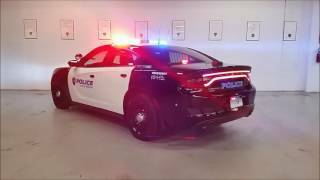 The Dodge Charger Pursuit features two uncompromised, high-performance engines that deliver world-class levels of power, refinement, technology and fuel efficiency. 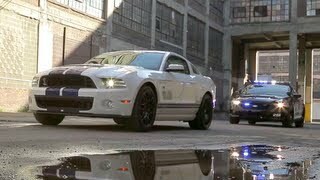 Delivering best-in-class power, the Dodge Charger Pursuit V-8 (RWD) with its legendary 5.7-liter HEMI® V-8 engine unleashes 370 horsepower, 390 lb.-ft. of torque, 0-to-60 mph in less than 6 seconds and up to 25 miles per gallon (mpg) highway with innovative four-cylinder mode Fuel Saver Technology. 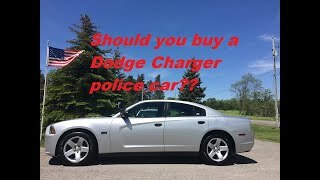 In addition, Dodge Charger Pursuit V-6 with its aluminum 3.6-liter Pentastar V-6 engine delivers 292 horsepower and 260 lb.-ft. of torque, and offers E-85 flex-fuel capability and up to 27 mpg highway. 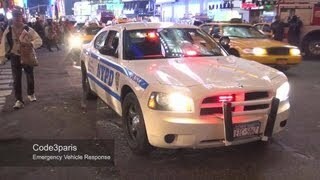 With superior ride and handling, the Dodge Charger Pursuit features Chrysler Group's second-generation large car RWD architecture with performance-tuned suspension, load-leveling NIVOMAT shocks, heavy-duty anti-lock vented-disc brakes (ABS), front- and rear-stabilizer bars, 18-inch performance tires on steel wheels and two-mode electronic stability control (ESC). In addition to its standing as an Insurance Institute for Highway Safety (IIHS) "Top Safety Pick," the Dodge Charger Pursuit surrounds the heroic men and women who protect with uncompromising safety and security equipment, including standard advanced multistage driver and front-passenger air bags, seat-mounted side-thorax air bags, supplemental side-curtain air bags for front and rear outboard passengers and a driver's knee bag. 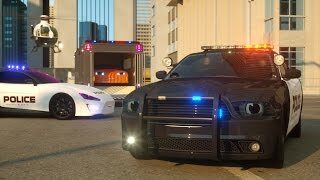 - Slick Top Police Package 2: includes front-corner LED lamps, rear-corner LED lamps, front and rear wire harness, power distribution center, siren speaker with bracket, trunk tray and trunk cooling fan. German police cars are much better. Also we can purchase those expensive BMWs and Benz. I agree, it was a reply to him because I don't think he sees the bigger picture. 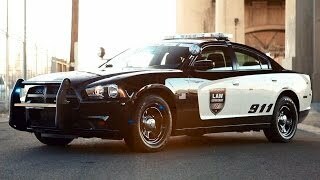 I like most police cruisers, but I think the dodge charger is the best one. I guess you don't understand that BMW and Mercedes are extremely cheap because they're mostly manifactured in Germany and don't have those import export charges? 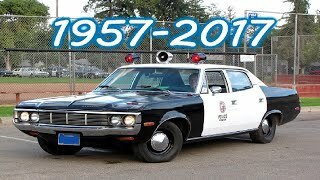 Same goes for America with their Dodge and Ford vehicles, also Dodge Chargers are pretty neat for a normal patrol vehicle. That's your opinion. My opinion is that the charger is awesome. We can all have different opinions. A nice vehicle turned badass. In my opinion at least. Daniel Müller Ja. 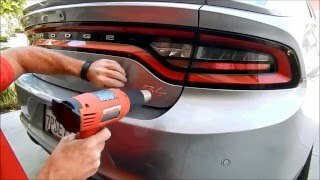 Aber leider ist die Regierung fest davon überzeugt es dürften lediglich Fahrzeuge aus deutscher Produktion als Polizeifahrzeuge verwendet werden, weshalb die Polizei jetzt mit VW Familienvans durch die Gegend gurkt. 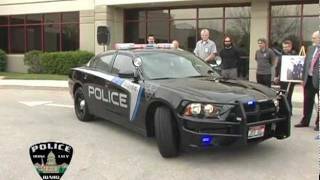 We bought 40 2014 Dodge Charger Patrol cars for our fleet of 60 marked cars, the remaining 20 marked cars are the last of the Ford Crown Vics. We have 42 radar or laser speed measuring units, after driving the Chargers for 3 months all the radar units were placed in the Chargers, except for 2 that are in "standby storage" for when we have 1 or 2 being serviced. 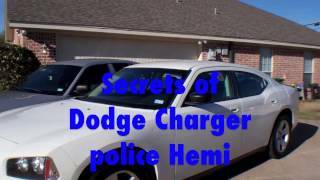 We moved them into the Chargers since they outperformed the Crown Vics as far as 0-100 MPH acceleration, top speed, handling, stability, lack of breakdowns and safety (front and side airbags + 5 crumple zones in each unit). The Crown Vics excelled in room in the "cabin" and somewhat more room in the trunk. 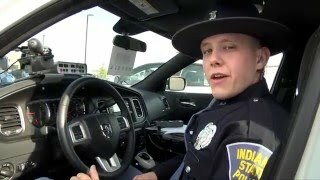 A small neighboring department bought two 2013 Chargers and swore they were no good for police work due to front end breakdowns, however Dodge did repair them and the 2014 Chargers + all future PPV Chargers have heavily beefed up front ends eliminating the issue. Our Chief is friends with the small departments Chief, the "Chief next door" tried his best to talk our Chief into buying Ford SUV's, however the friendship between the two wasn't enough to steer our boss away from the Dodge Chargers, we've had the Chargers for sometime now and our Chief & Officers are very satisfied with the Charger, when the last Crown Vics go we plan on buying 20 more Chargers. Yep, they're smaller but then so are the Fords and Chevy's...unless you go the SUV route, which we won't do as they're "high profile", think SUV and think more room, but also think ROLLOVERS, it ain't worth it. 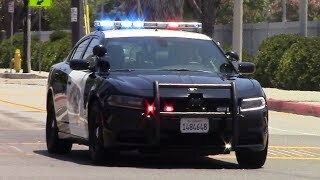 What's the name of the siren ? 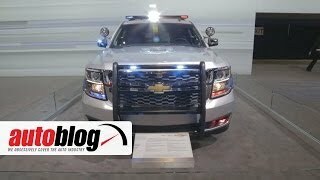 Police cars in 2014 should have at least Xenon light oder LED. Illumination of the road would be a lot better. With the weight of the car it wouldn't be a practical power plant. 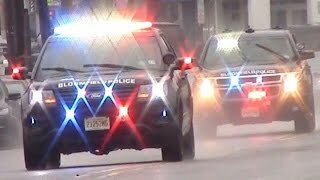 The Pentastar is a fantastic motor for civilian use but remember this is a pursuit vehicle, they need all the power they can get to keep up with honyaks with off the lot sports cars. Sexiest thing on 4 wheels. Prefer the old style rear though. slow car .. my 25 year old mx5 is faster true those corners. +Cobra Gaming And the Charger still corners better than the old mx5 ! He's not going full speed..
And it costs a third as much...not much can catch a GTR FYI. And the people who own GTR's usually aren't the kind of idiots who rob liquor stores and run from the cops. Says a guy named Prius. XD oh god i laughed so hard when i saw this, oh lord i have a tear in my eye. 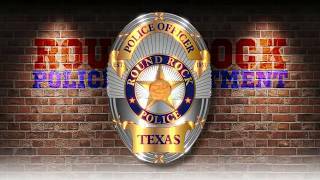 The Ford Taurus Interceptor looks & performs better. It may perform better, but how does it look better? çà tient pas la route ..
Building a new Patrol Car - from the bumper up.